IE Business School - International MBA | Meet Bhuvan Rustagi -IMBA Alum and Founder/COO, Lendbox! 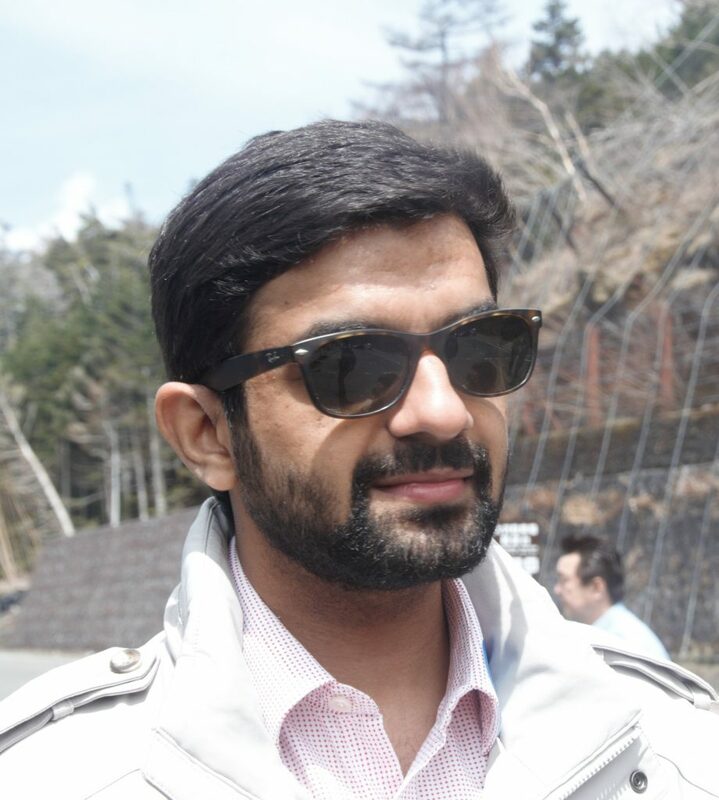 Meet Bhuvan Rustagi -IMBA Alum and Founder/COO, Lendbox! I am a Chartered Accountant and MBA from Delhi, India who’s been fortunate enough to travel to different parts of the world live in many as well including Africa, India and Europe and I am eternally grateful for it. I have been a finance geek since the beginning and been working since I was 19. I love reading, all kinds of music depending on my mood and travelling. I like meeting new people and would consider myself a people’s person and I think I’m pretty good at managing people. I am currently the Co-founder and COO of Lendbox, a P2P Lending and Credit Market place in India and hope to build it into a full service online financial services company. How has your journey – post IE been? The journey post IE has been quite nice, after IE I moved to Mumbai to work in Investment Banking, Mergers and Acquisitions to be precise at American firm Alvarez & Marsal’s India office. Worked on a few marquee deals with private equity clients such as Warburg Pincus, Temasek Holdings, GIC and many more. After working there for 1.5 years during May 2015 my flatmate from the MBA days Ekmeet called me to discuss the possibility of starting a P2P Lending firm in India, for a month we kept having discussions and realised the India is a great market for such a product. I quit my job and by July 2016 I was in Delhi and spent all of my time on Lendbox, our P2P Lending platform which was eventually launched in November 2015 and by now has become the fastest growing and also the largest P2P lending platform in the country. I was putting in crazy hours when working in investment banking and beyond a point it seemed like working so much for someone else just doesn’t make sense. It was right at this time that Ekmeet called me up with the idea of working together and building one of India’s first P2P Lending platforms. After a lot of research, we figured if done right this can be something really big and working for yourself is going to be a different high. I was in a position in life where I could take this step and everything fell in place, I quit my job and moved back to Delhi and start Lendbox along with my two co-founders. Well, I wouldn’t have met Ekmeet (my Co-founder) had it not been for IE, so there’s that. But more importantly, IE gave me a sense of confidence and risk taking capability which I did not have before the MBA program. It gave me the technical tools and also the soft skills to deal with running a business, talking to investors and service providers and overall management skills and how to handle conflict. The IMBA also taught me to think big and envision what something can become or should become. It also helped me gain a great network of people from across the world. Setting up your own business is always a challenge, there a million things which can go wrong and they do wrong, but it’s a great rush and one never stops learning. Hiring, managing and firing people is one of the toughest aspects running a business I think especially when starting out as every individual needs to contribute more than a 100%. You have to understand the product would never be perfect, seeking perfection when starting up will usually mean that you will never launch, so learnt that you launch with a basic product and then keep improving and adding things and making it better. There are days which are highly frustrating, and days which are absolutely amazing and days which are just slow and don’t lead to anything, but every day is great. We are just 9 months old so basically we are still setting up, and we are not leaving this mindset anytime soon either, we cannot stop setting up and making it better. Not sure what you mean by this sector, if you mean start-ups, then I would say it’s a great idea as long as you do it for the right reasons and be smart about it, but at the end of the say it definitely is a risk and definitely think it through and you must love the idea with all your heart and be willing to put in 200%, I dont even count or care about the number of full all-nighters I have had and I’m sure I will have many more and someone in a startups need to be willing to do that as this is certainly not a corporate 9-5 job. If you mean the finance sector, then one should not go in for the image of finance which seems really cool when seen on tv where investment bankers where great suits and take first class flights on the way to crack big deals, that is a very small part of finance and most of it is grinding away in front of your laptop learning the nitty gritty how a particular industry works and how it can affect your investment. You have to love finance otherwise it’s a waste of time to get into it, one learns a lot about a lot of things and it definitely toughens you up, but it is also a lot of hard work even if it involves making a lot of money. Enjoy each and every second you are in Madrid and at IE, it is an unparalleled experience which will stay with you for the rest of your life. You will gain amazing friends and also great mentors in your professors. Please do not stay with people just from your own countries, go out and take risks and meet as many new people as possible and learn more about them and their countries. You can only choose two of the three options of partying, studying or sleeping, strongly suggest you pick the first two as you don’t want to miss out on everything IE and Madrid has to offer. It is a fantastic place to learn and you are very fortunate to be here so please do yourself a favor and make the most of it while you are here, regret is a horrible waste of time so please make sure you have none, during your MBA or in life, good luck and may you make IE and everyone else around you proud.